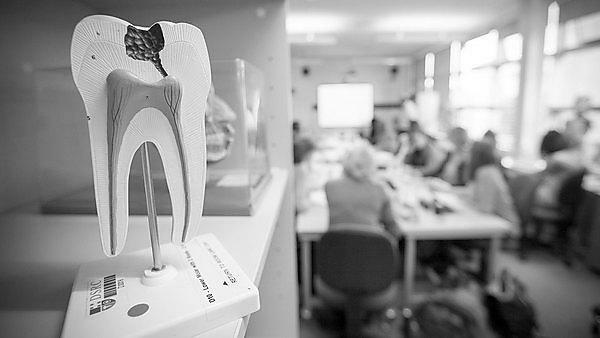 Academics have led an international review to help the UK dental regulator define what constitutes ‘serious misconduct’ within the profession. Commissioned by the General Dental Council (GDC), the team from the University of Plymouth reviewed how regulators from across international health and business sectors – from nursing to law – deal with misconduct at varying levels. The findings will support the GDC’s work to develop its fitness to practise (FTP) procedures, to increase the process efficiency for the benefits of both patients and practitioners. political and social contexts influencing changes to regulators’ decision-making. Among its findings were that regulators commonly offered broader definitions of misconduct, pointing to the necessity of considering the details of each individual case in order to decide whether a professional’s actions do or do not constitute misconduct. In addition, the review found that there were differing approaches towards the extent to which professionals’ behaviour in their lives outside the workplace should fall under the purview of their professional regulator – and this seems to be an area where approaches differ and are currently in flux. The review, entitled Fitness to practise: Impairment and Serious Misconduct, A narrative synthesis review was conducted by researchers in the University’s Collaboration for Advancement of Medical Education Research and Assessment (CAMERA) and Peninsula Dental School. “As much as dentistry is health-based and relates very much to the safety and wellbeing of the patient, the role often involves a business side too so its regulation and procedures have to reflect this. The review came from questions such as ‘How do other professions look at the boundary between public and private misconduct?’ and ‘What is classified as serious?’." Read the final report on the GDC website.